On this 4th of July weekend, Tales celebrates America's Independence Day with this classical music weekend special. An all America Tales musical special. John Philip Sousa, born in Washington, D.C., was an American composer and conductor in the late Romantic era from 1854 – 1932. Sousa was a valuable treasure to the military, and patriotic fervor of this country with his brilliant marches that honored this country. These great marches have led to his being dubbed "The march king". The stirring Stars and Stripes march by John Philip Sousa has been officially recognized as America's national march. Aaron Copland [1900-1990], born in New York City, was one of the top American classical music composers, born at the beginning of the twentieth century. He is unusual as he knew at a young age that he wanted to be a composer and he kept to his goal to become one of the greats. He has become known as the 'Dean of American composers'. Some of his greatest music is scored in his ballets, Rodeo, Billy the Kid, and Appalachian Spring. One of his most beloved works is his Fanfare for the Common Man. 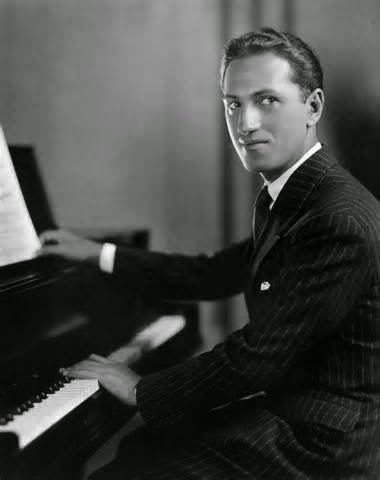 One of the greatest twentieth century composers and pianists was American George Gershwin [1898-1937], born Jacob Gershowitz, born in Brooklyn, New York. Many consider him the greatest American composer ever. His works not only included great classical compositions, like his Rhapsody in Blue, but also Jazz compositions as from his unique soulful opera Porgy and Bess. He also composed some of the best known standard songs from stage and screen, with the help of his brother Ira, who wrote the lyrics to go along with his wonderful melodies. 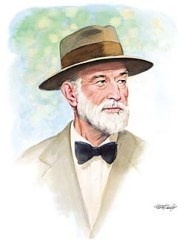 Charles Ives was an American Romantic/Modern composer born in Danbury, CT in 1874. From my post, 'Charles Ives Composes The First American Symphony': "Ives was a great patriotic American and wanted to compose an American symphony that would show his pride of America, and show that an American composer could compose an American symphony not inferior to the great masters of the West. He did this in his second Symphony he composed sometime between 1897-1902 [and it took 50 years to be performed in its entirety before a concert audience]." From Wikipedia: " the Second Symphony makes no complete quotation of popular American tunes, but tunes such as "Camptown Races", "Long, Long Ago", "Turkey in the Straw" and "America the Beautiful", are alluded to and reshaped into original themes". Please turn up the volume and enjoy four of the greatest American composers on this America's Independence Day weekend special.